Some people recall watching Cousin Clem's Magical Couch Fort every Saturday morning as kids. Others have never seen an episode, claiming the tragic series finale is nothing but urban myth. 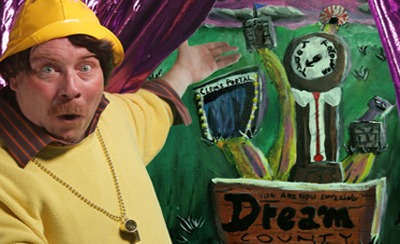 Somewhere between real and imaginary lies Dream County, a whimsical world where Cousin Clem would hide away in. We present the finale as it supposedly happened.